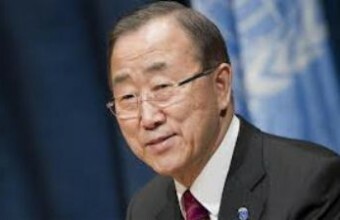 General-Secretary of the United Nations, Ban Ki-moon, launched a new initiative on Thursday, calling 2014 a “Palestinian Solidarity Year”. According to the Palestinian News Network (PNN), Ban Ki-moon said that 2014 will be will be a crucial year for achieving a two-state solution, ending the occupation that was started in 1967, and establishing an independent Palestinian state which lives side by side with Israel. Ki-moon has called on the international community, especially Israelis and Palestinians, to work together in order to achieve justice and permanent peace in the region. He added that the Israeli and Palestinian leaderships must have political will and responsibility, and to have a clear vision for a better future, through committing to advance their efforts in negotiations. In a display of differing opinion, Israeli envoy to the UN Ron Prosor has condemned the initiative of 2014 being a solidarity year. “The UN is used as a tool in the service of Palestinian propaganda. Instead of trying to end the campaign of Palestinian incitement against Israel, the UN provides a stage for Palestinian productions for the media,” Prosor said. UN has, in turn, passed six resolutions condemning Israel.